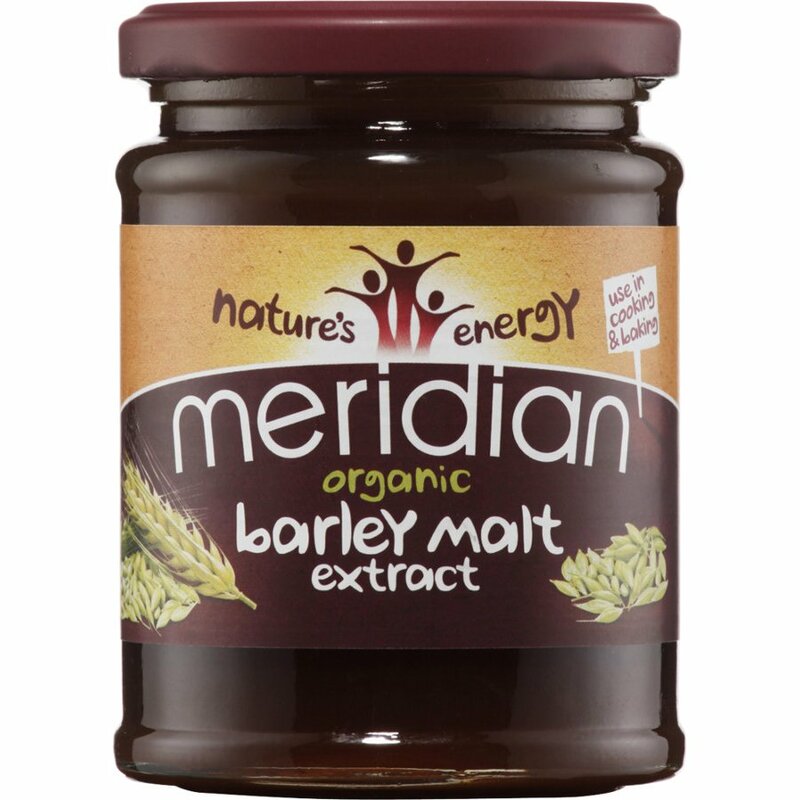 Organic Barley Malt Extract (100%). Stir into hot milk, for a soothing evening beverage. 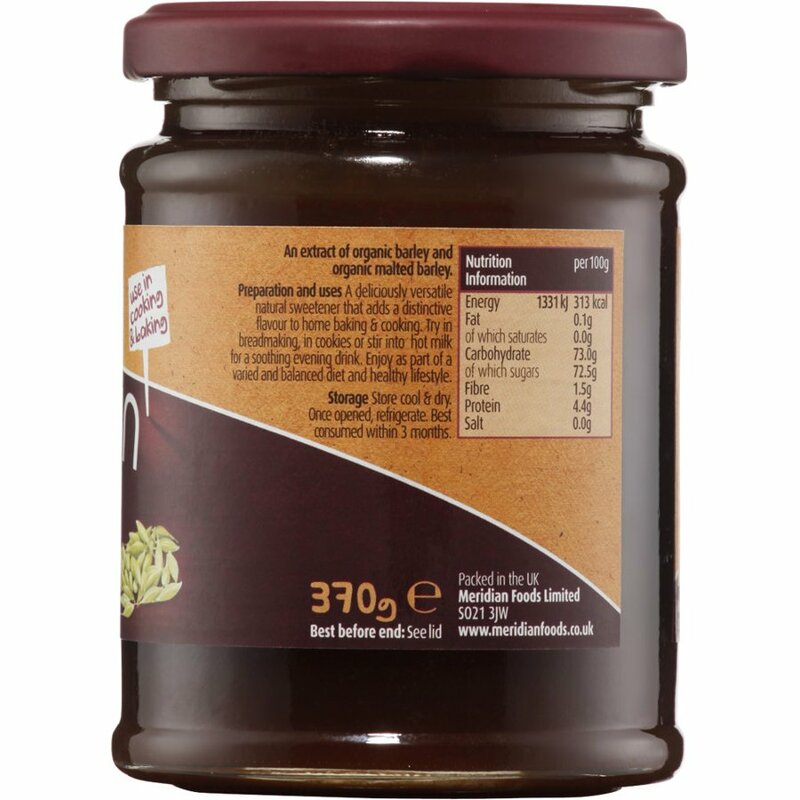 Use in breadmaking to produce a well risen, good flavoured loaf or use as a natural sweetener in cooking. 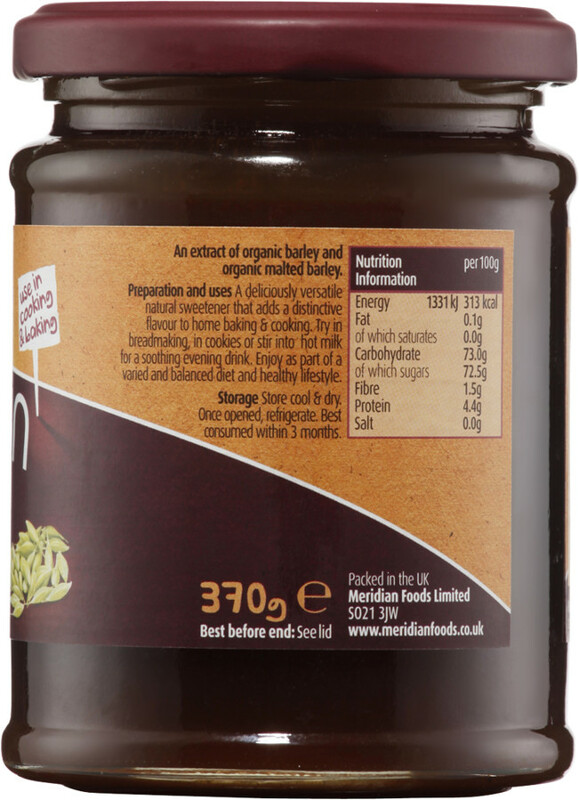 The Meridian Organic Barley Malt Extract 370g product ethics are indicated below. To learn more about these product ethics and to see related products, follow the links below. 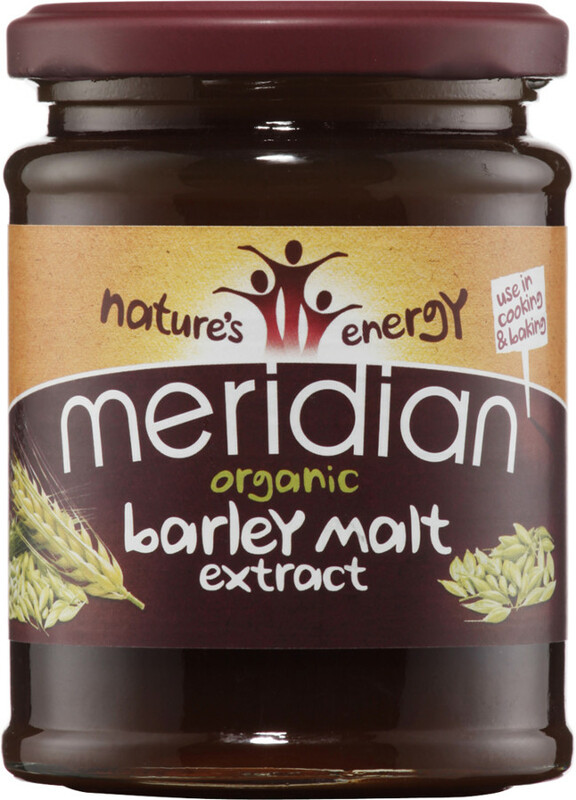 There are currently no questions to display about Meridian Organic Barley Malt Extract 370g.